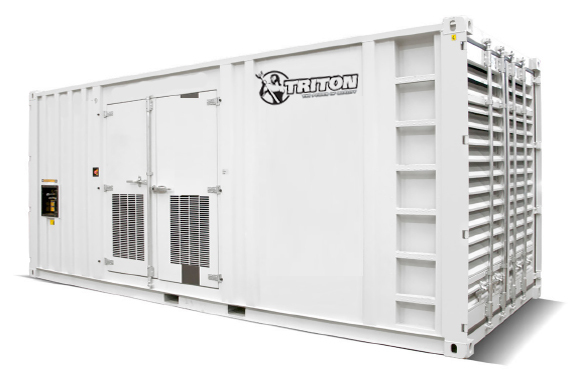 Triton's MTU series of diesel generators covers a wide performance spectrum from 270 kW to 3100 kW. The design associated with the MTU diesel engine is known for repeated innovation and being at the forefront of the technological process. These engines are built to offer excellent combustion and low fuel level consumption. This series of diesel generators complies with emission regulations. The DSE8610is an intelligent mono display auto start load share control module packed with industry leading features to enhance multi-set control. The module can be synchronised with up to 32 generators within the same system. The machines are equipped with monitoring system, helping monitor the operation at real time. We provide DSE-8610 control module for your operation. Americas Generators has introduced the MTU engine line to our inventory due to the trustworthy attributes and the advanced engineering. Diesel generators powered by MTU engines have the option of stationary or mobile power modules. Customers around the world trust Americas Generators to provide reliable diesel generator power for a wide range of applications including healthcare, data centers, airports, and farms. If you are interested in more information about a diesel generator with a MTU engine, contact one of our associates at 800-434-0003.